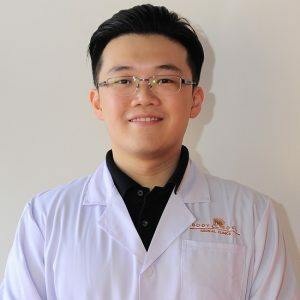 Holder of a Master’s Degree of Traditional Chinese Medicine and majoring in acupuncture, Joe is specialized in treating internal medicine disorders as well as respiratory tract and gynecological diseases. Learning from several masters in China, he has acquired a vast experience and helped many patients recover from allergies, digestive problems, sleeping disorders, headaches, anxiety, and other common health conditions. He combines herbal treatment together with acupuncture as well as Tuina massage - when indicated - to treat his patients and relieve their symptoms.